Is 1 ounce of noni juice a day enough to keep the itch and swelling down? I used 1 oz per day. I took it first thing in the morning on a empty stomach. You may have to adjust the amounts, since each person is different. Also, it may take a couple of weeks to start to see some results and in many cases it takes 2 to 3 months of use to see the full benefit. The amount also depends on the concentration of juice you are taking. Some noni juice brands are cheaper, but are half as potent. Start with one ounce for a week and see how it goes. Finally, some recommend a higher dosage of 2 to 3 oz for the first couple of weeks to a month to boost the system and then they settle into a lower amount of 1 oz for maintenance. More information on noni juice can be found at the noni juice benefits page. Can you discuss the noni juice and skin hives treatment benefits that you experienced with your dermographism problem? As you know from the website, I have been suffering from dermographism/dermatographism as well. The antihistamines did not affect me as negatively as they seem to affect many other people. However, the antihistamines only provided relief to some degree and did not cure the condition. I tried noni juice as an all-natural alternative. Noni juice works to improve cellular health and because of this many people have been experiencing benefits for a number of problems, from skin conditions to increase in energy, to lowering blood pressure, etc. I found that noni juice essentially performed the role of the antihistamines without any of the side-effects of loss of energy or drowsiness. Because of this I felt it was a better way to go and at the same time I was getting additional benefits that the juice provided. I truly believe that the juice is responsible for reducing my symptoms. I took the juice for about 4 months. My symptoms are less than before taking the noni juice. 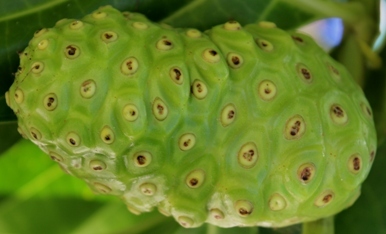 Noni juice has been reported to have almost no side-effects. It is an all-natural organically grown fruit. Of course, food allergy is a possibility, but unlikely. Also, a small percentage of individuals have also experienced diarrhea. I have experienced neither. The standard dose is 30 ml or 2 tablespoons per day. You need to take the juice consistently for 2 to 3 months before you see any benefits. Depending on what you experience you may have to adjust the dose upwards or downwards.